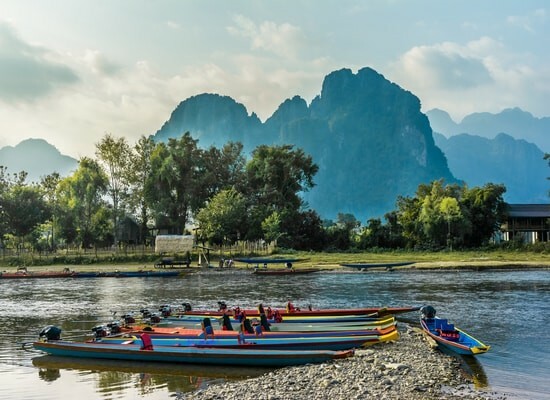 Despite its troubled history marked by decolonization and bombings related to the Vietnamese conflict, Laos has retained its authenticity and charm. It is not by travelling from city to city that you will understand the true identity of this country. You will have to discover the hidden villages where you will be welcomed with hospitality. During your journey, you will be fascinated by its rich Buddhist heritage, especially during your visit to the ancient royal capital: Luang Prabang. Admire the beauty of the golden temples that bear witness to the country’s past with the ancient Lao kingdoms and the monks in saffron robes. The city is also home to large colonial buildings. If you want to get away from the city life, enjoy a boat cruise on the Mekong to discover the traditional villages of the country. Last Updated: January 29, 2019 12:19 ESTThe Health tab was updated - travel health information (Public Health Agency of Canada). Sanitation in Laos is unreliable, especially in public hospitals where patients are subjected to poor facilities, rudimentary infrastructure, and even abuse. Popular medical centres used by foreigners include the Embassy of France located in Vientiane, or the Australian Clinic for treatment. In addition, the Mahosot Hospital runs an International Medical clinic. Embassy staff are cared for in Laos by well-equipped medical centers run by the Australian and Swedish embassies, which sometimes offer care to their own nationals. Medical repatriation is sometimes necessary, and most travellers will be evacuated to Bangkok which is a one hour plan journey from Vientiane. Bangkok offers many modern hospitals, including AEK International Hospital and North Eastern Wattana General Hospital. Most pharmaceuticals can be purchased without a prescription in Laos, yet be aware that many of the drugs on the market are counterfeits. You should endeavour to buy these from a reputable pharmacy. In the event of an emergency, dial 195. Is Laos Safe for Travel? Do I Need a Visa to Visit Laos? Both, a visa and a passport are required to enter Laos. The passport must be valid for at least six months beyond the date of departure. Please note that the visa can be purchased upon arrival in most international airports. It requires a passport photo and costs US$42.